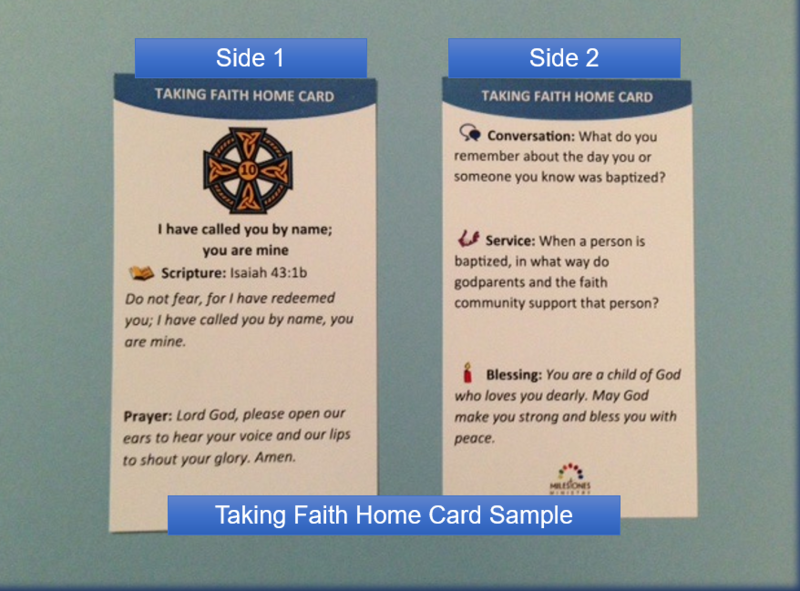 These Taking Faith Home Cards are designed to allow individuals and families to nurture their faith at any time and place! Each card contains a variety of faith-building activities, allowing one to pick and choose what is most beneficial in your current setting. When ordering 10 card decks or more, please first contact Milestones Ministry directly for a 20% quantity discount. Email info@milestonesministry.org or call 304-300-0836. 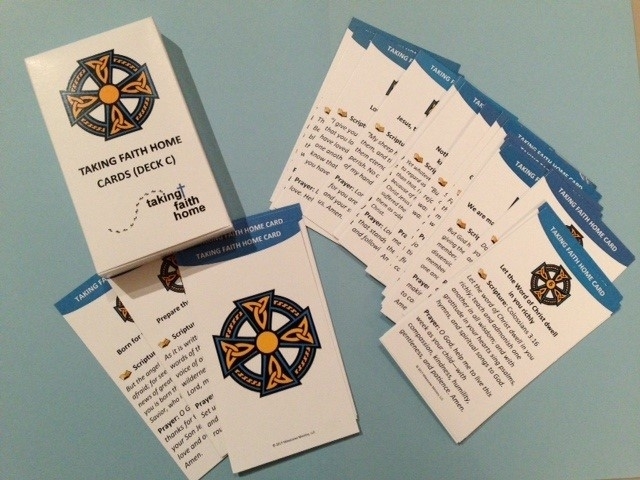 Each of these 63 cards in Deck C are based on the Revised Common Lectionary Year Cycle C and feature a theme statement, key scripture verse, a prayer and blessing that complement the key verse, and a caring conversation and service question to provide meaningful and faith-forming conversations. Reference cards for the Lord’s Prayer, Scripture verse index, and a Lectionary index are also included. The cards are based on five principles for living and passing on faith, four keys for practicing faith, and the three characteristics for Christians.